After much investigation Scouts.Digital (SD) has now been selected as the National Membership Database. A contract which includes a Non-Disclosure clause has been signed with Scouts.Digital by SSA. The requirements of the POPI Act, which is not yet in force, were carefully considered by SSA and its lawyers, who are satisfied with the SD contract. SD has been successfully used in Gauteng for more than a year. Developing the additional functionalities and scope of SD to accommodate all the Regions, the National teams and required national functionality and reporting, is not a small task. The work is well underway and is being carried out in a progressive way according to agreed priorities. 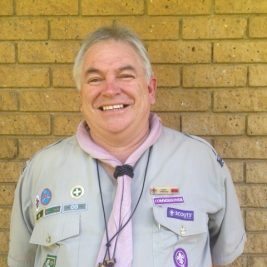 To coordinate the work and roll out SD to all the Regions, Andrew Tanner has been appointed project manager to work with Richard Shearer of Scouts.Digital. Your Regional Commissioners have more information and updates will be sent out as the roll out to the Regions proceeds during the rest of this year.